The huge boom in apps for mobile devices has probably already improved your personal and social life. But they're not just for fun. 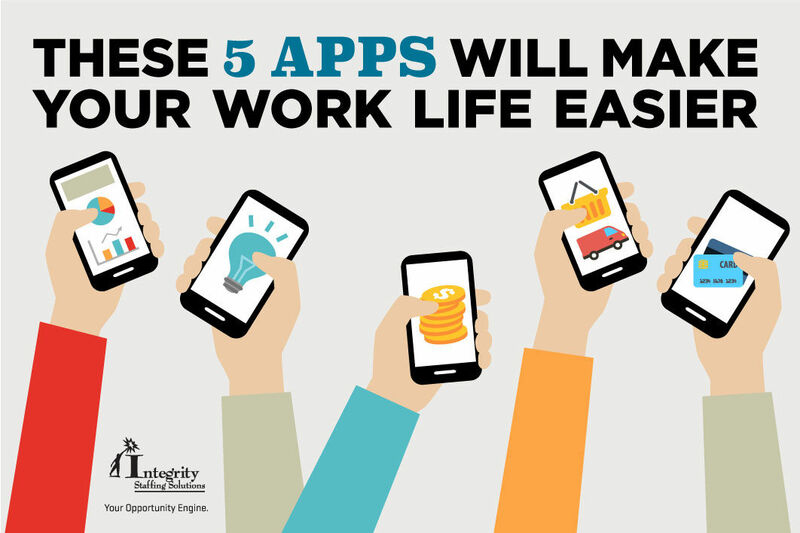 You can also boost your productivity, work more efficiently and be a better team member with these fantastic apps. Get through your email inbox faster than ever before with this organizational tool. It detects and sorts emails into personal, notification or newsletter groups so you can see at a glance which ones you really need to read. Smart search, pin and archive emails, individually or in batches. Save attachments to your cloud, or emails as PDFs. Send a variety of quick replies such as "Thanks" (or your own words) with one tap. Longer replies can be dictated by simply speaking into your smartphone. This upgrade of one of the most popular to-do apps lets you collaborate with the team. Share lists, due dates, reminders, comments and notes; or print them out with one click. Add items to Wunderlist straight from your email or the web. And get activity notifications via email as well. You can also organize related lists into folders, so that everyone working on a particular project can find their stuff quickly and easily. Automate more than 200 actions for your digital calendar, communications, to-do lists, maps, calculator, photos/music, social media and much more. Create your own apps by combining actions into sequences (workflows), such as finding the nearest drugstore to your hotel and getting directions to it. You can even add these actions as extensions to other apps, such as making a PDF of a web page when you're in Safari. Turn your iPhone or iPad into a portable scanner and convert that mountain of paper into PDF or JPEG files. Great for saving handwritten meeting notes, business trip receipts, pages from a book or report someone lent you, or restaurant delivery menus for those lunch-at-your-desk days. Email the files to your team or export them to your cloud or another app. Another great app for the team, Google Docs lets you create, view and edit word, spreadsheet and presentation documents in the cloud, and download them to your device. Changes are saved automatically as you type. More than one person can view and edit a document at the same time so people located far apart can work together.